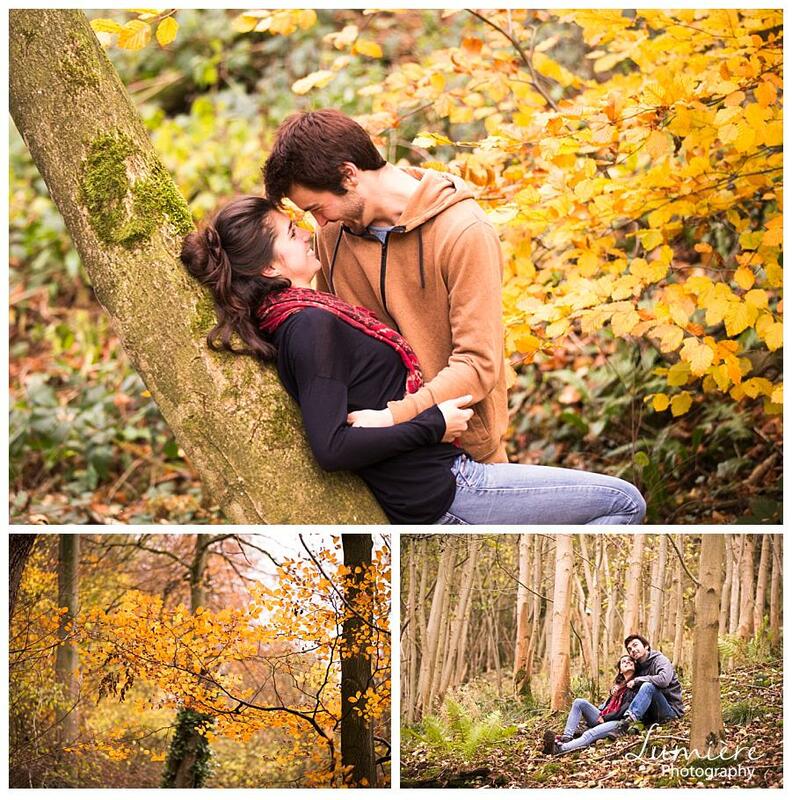 Autumn pre wedding photography at Ilam Hall Derbyshire. 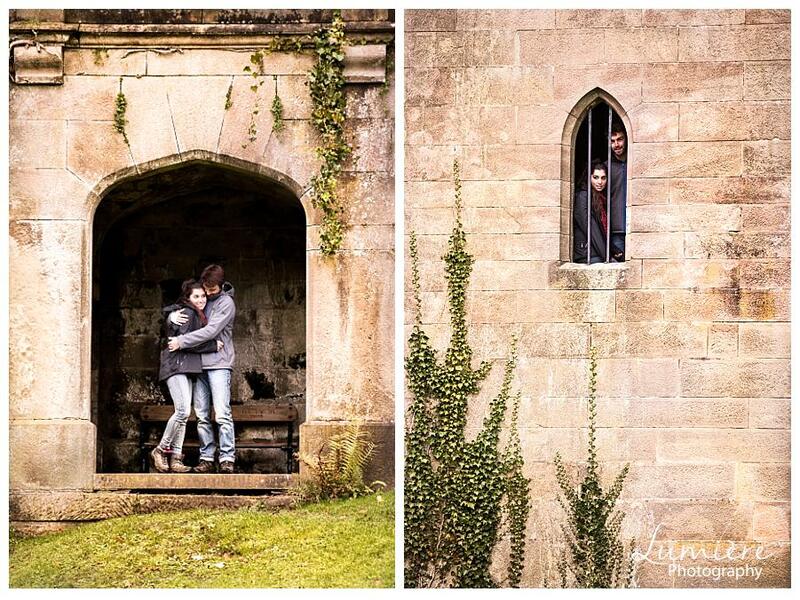 Do you know Ilam hall in Derbyshire? I love that place in all seasons, the trees and the smell of the earth; the river with the reflections, the little cascades, the sense of peace. 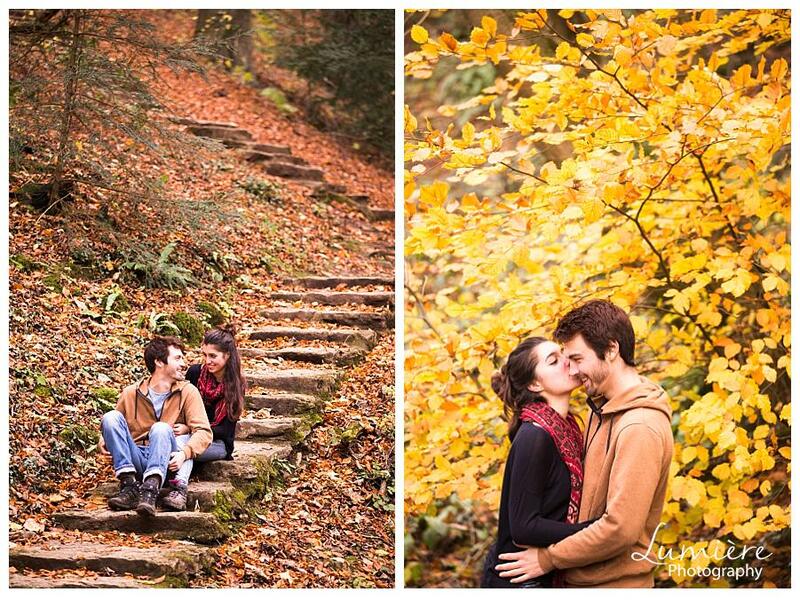 So when Noemie and Nikolas left me the choice of the location for their autumn pre-wedding photoshoot, I jumped at the chance to shoot at Ilam Hall. 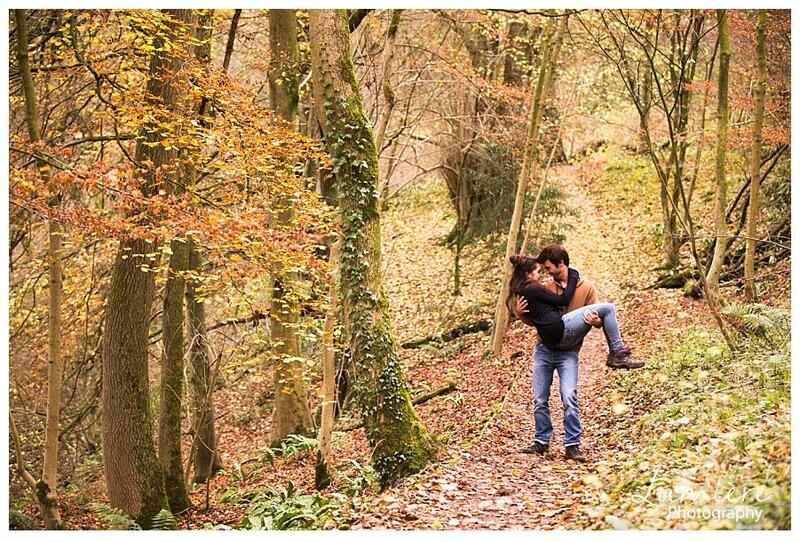 I’d walked there alone and with my husband imagining photos in the avenue, the forest, on the mossy logs, but what makes the photos unique are the people in it, their relationship, how they convey their love, their shyness, their sense of fun. That’s why each couple photoshoot is unique, moving, magical. Both Noemie and Nikolas were keen to do the photoshoot even though it was a bit nerve-wracking, especially for Noemie who blushed a lot. Nikolas found it very easy to show his sweet and loving side even though I was behind the lens. 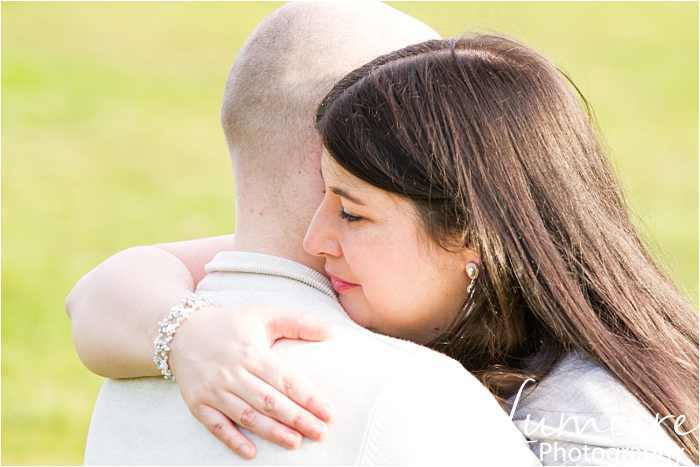 I’m always honoured and moved that couples let me see their hearts and tenderness. 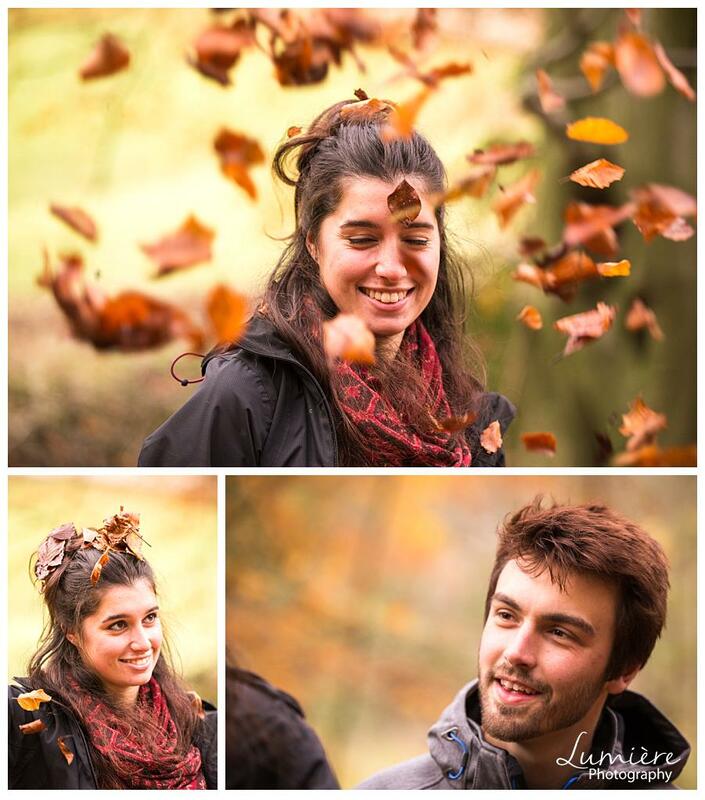 Having space to walk around in Ilam Hall and take breaks between photos helps to breathe, laugh, relax and feel more natural in the photos.